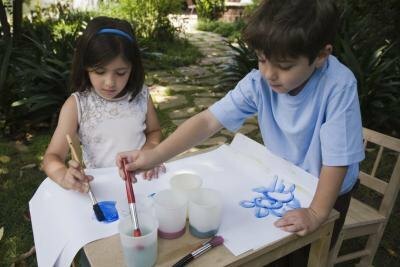 Encouraging children to explore different world cultures can be turned into a tactile experience using Spanish arts and crafts. 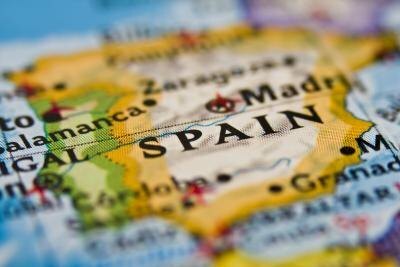 Spain boasts an extraordinary culture that can be used in the creative learning process through planned craft projects that appeal to varying age groups. Spain has a rich culture. Maracas are an important instrument to traditional Spanish music. Kids can craft their own music makers using water-based paint, small paper bags and dried rice. Bright, festive colors can be painted on the paper bags, and a half cup of beans can be added to the bottom of the bag. Securing the open end of the bag with a rubber band to recreate the round maraca shape and twisting a handle for gripping will allow children five and up to experience Spanish percussion. La Tomatina is considered the worlds' biggest food fight, that originated in the Valencia region of Spain in 1945. Legend says that a food fight between two young members of a carnival crowd sparked this yearly festival. Kids can celebrate this interesting Spanish tradition by creating red tomato beanbags that are safe for tossing back and forth. Cut red felt into two medium sized circles and then sew the circles together, leaving room to insert approximately a tablespoon of dried rice. Once rice is inserted, sew the red beanbag closed. Sew a green felt star on the top of the beanbag to complete the tomato look. Children can then host a La Tomatina event of their own. Because this project uses a needle, thread and scissors, it is recommended for ages eight and up and with adult supervision. Kids can recreate tomatina with bean bags. Pablo Picasso was a renowned figure in Spain's art history, known for his Blue Period, during which he created only blue paintings. Kids can create their own self-portraits with pencil and then paint it using one color. This project will teach about painting as a form of self-expression, while highlighting Spain's contributions to art culture. Kids can make self portraits inspired by Picasso. Children can explore the traditional Spanish craft of ceramics by creating their own ceramic tile coaster with the colors of the Spanish flag. Ceramic tiles can be purchased from most hardware stores, and may be decorated using permanent markers to create a red and yellow horizontal triband representing Spain's flag. 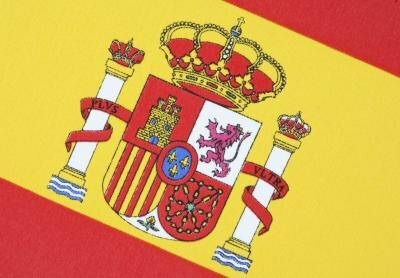 Alternately, Spanish flag image printouts can be adhered to the tiles and then colored in with washable markers. Children can create tiles with the Spanish flag on them.